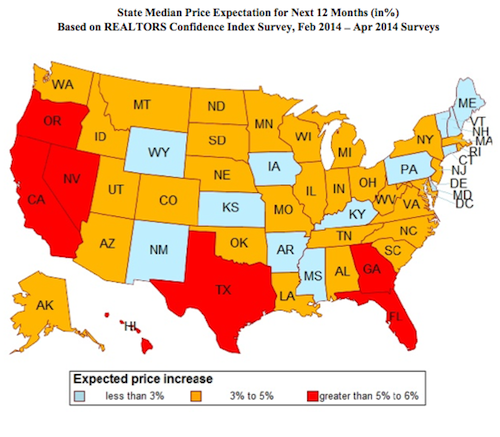 According to the Realtors Confidence Index, Realtors expect home prices to continue to appreciate over the next year with a median increase of 4%. Read more about this in an article from Realtor Magazine here. This entry was posted in Buying A Home, News, Real Estate, Selling A Home, Statistics and tagged rising appreciation of home values by susanaknabe. Bookmark the permalink.